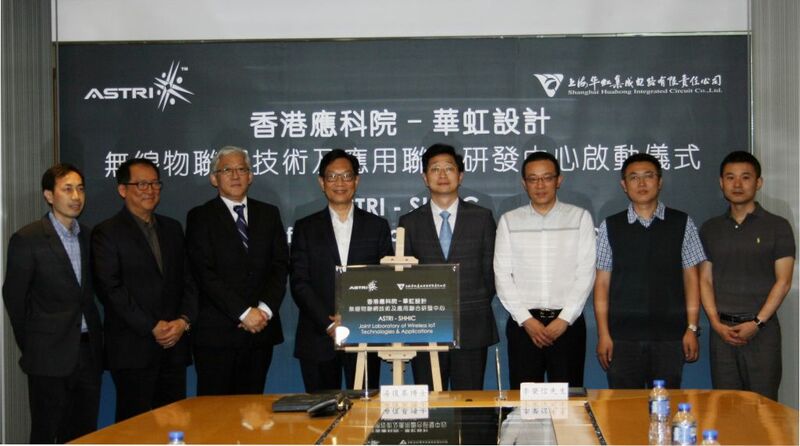 (Hong Kong, 29 July 2015) Hong Kong Applied Science and Technology Research Institute (ASTRI) and Shanghai Huahong Integrated Circuit Co., Ltd. (SHHIC) announced today (29 July) the opening of a joint laboratory on wireless Internet of Things (IoT) technologies and applications, fostering the collaboration between ASTRI and SHHIC and developing single-chip system level solutions for smart cities and intelligent transportation applications. 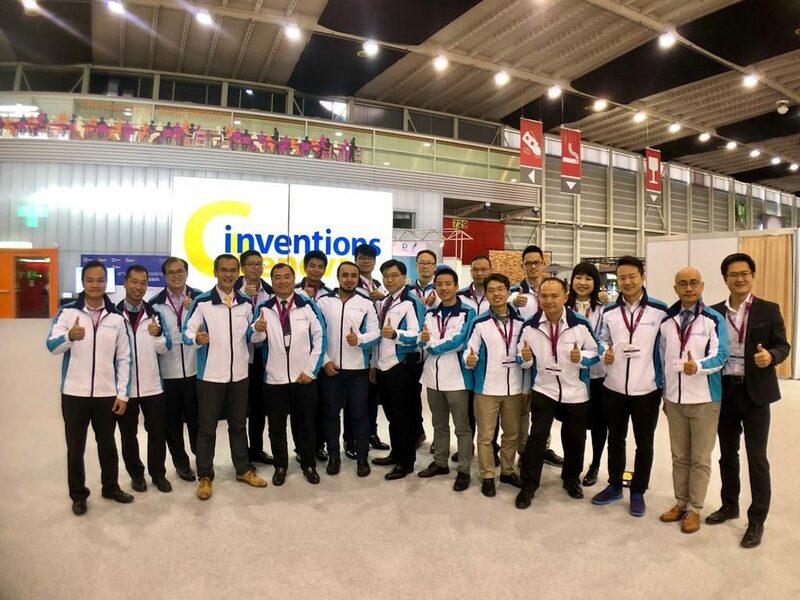 The opening ceremony of the joint lab was officiated by Dr. Frank Tong, Chief Executive Officer of ASTRI and Mr. Rongxin Li, General Manager of SHHIC. 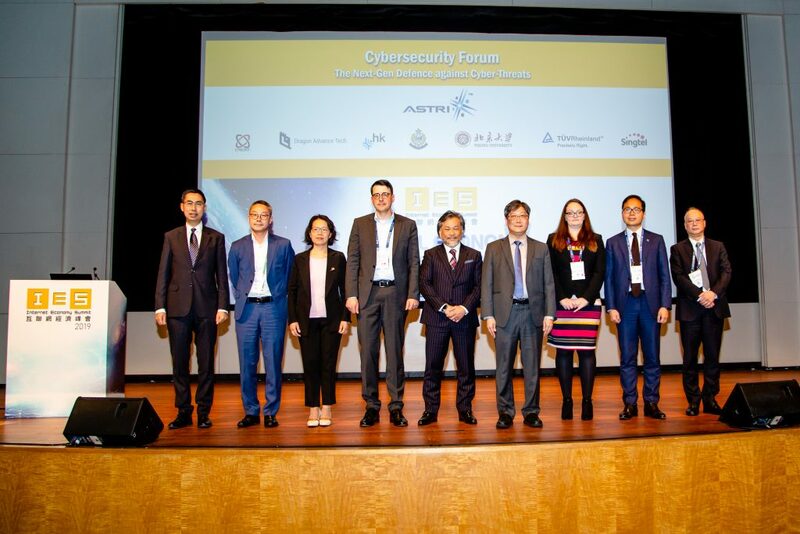 Also joining the ceremony were Mr. Ming-yam Wong, Chairman of the Board of ASTRI, Dr. Justin Chuang, Vice President and Group Director, Communications Technologies of ASTRI, Mr. Bill Zhang, Director of IC Design (Analog) of ASTRI, Mr. Xinhua Ji, Deputy General Manager of SHHIC, Mr. Yongliu Wang, Design Director of SHHIC, and Mr. Jing Liu, Technology Development Manager of SHHIC. The establishment of “Joint Laboratory of Wireless IoT Technologies & Applications” aims to strengthen the long-term collaboration between two parties. SHHIC has strong expertise in smart card and information security chips design. ASTRI has strong expertise in wireless, radio frequency (RF) and analog design. The joint laboratory is a perfect match of expertise from both parties to develop wireless IoT chips at terminals and sensor nodes side. These IoT chips are single-chip system level solutions which include all functionalities of RF transceiver, baseband, security, protocol and CPU for applications of smart cities and intelligent transportation locally and nationally. In addition, ASTRI will also provide consultancy service to assist SHHIC’s on-going projects. The joint laboratory will physically be located in ASTRI. 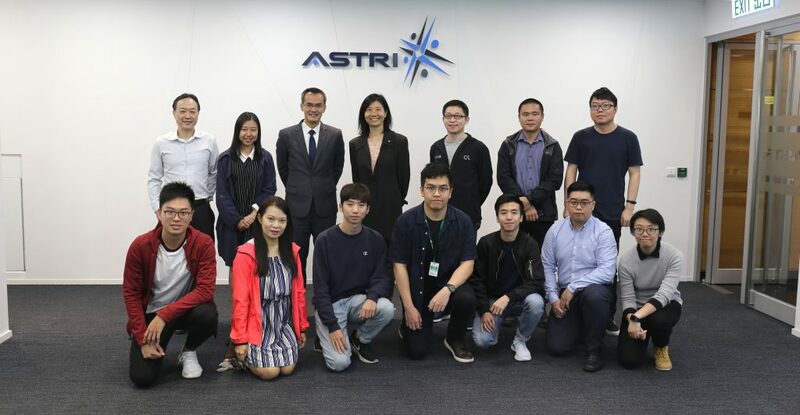 The fund contributed by ASTRI comes from Innovation and Technology Fund managed by the Innovation and Technology Commission. Shanghai Huahong Integrated Circuit Co., Ltd. (SHHIC) is a leading smart card and information security chip solution supplier. SHHIC can provide contactless IC card chips, contact IC card chips, dual interface card chips, USBKEY chips, ultra low power MCU chips, intelligent transportation products and solutions of RFID, public transportation one-card-express, social security, financial security, telecoms, mobile payment, high-end identification, medical treatment appliance, smart instruments, consumer electronics and intelligent transportation. 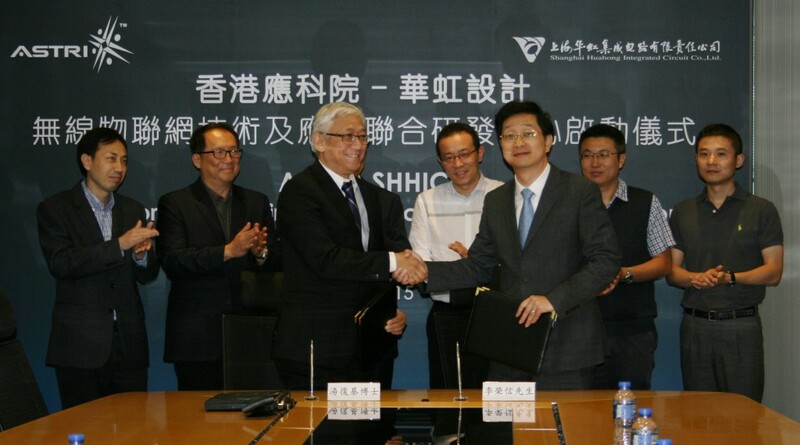 As one of China top chip suppliers, SHHIC annual shipment amounts to 600 million chips. SHHIC has over a decade of experience of smart card and information security chips in Egypt, India, Indonesia, South Korea, Nepal, Vietnam, Nigeria, Singapore, Australia, Luxemburg, Germany and Russia etc. A warm hand-shaking between Dr. Frank Tong (front, left), Chief Executive Officer of ASTRI, and Mr. Rongxin Li (front, right), General Manager of SHHIC, after the agreement was signed. 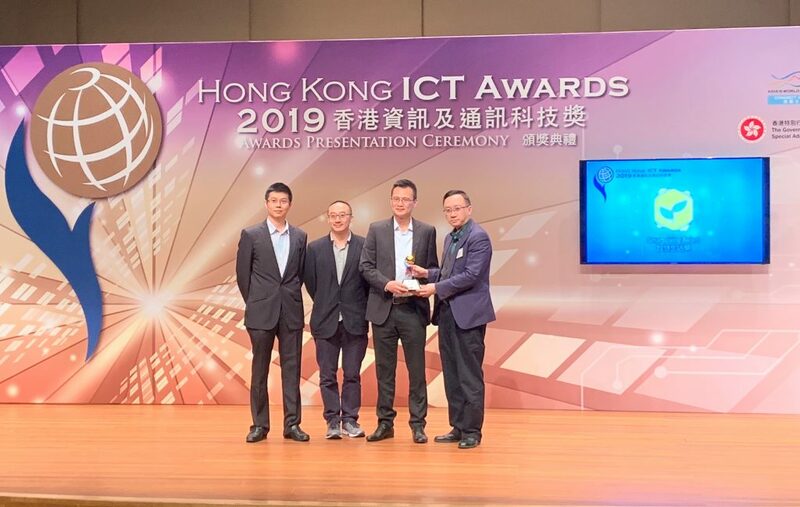 (From the left) Mr. Bill Zhang, Director of IC Design (Analog) of ASTRI, Dr. Justin Chuang, Vice President and Group Director, Communications Technologies of ASTRI, Dr. Frank Tong, Chief Executive Officer of ASTRI, Mr. Ming-yam Wong, Chairman of the Board of ASTRI, Mr. Rongxin Li, General Manager of SHHIC, Mr. Xinhua Ji, Deputy General Manager of SHHIC, Mr. Yongliu Wang, Design Director of SHHIC, and Mr. Jing Liu, Technology Development Manager of SHHIC.